Did you ever wake up with a start from a deep sleep? And was it because you felt like you were falling off a tall building or a high cliff? Guess what, you experienced a hypnic jerk. Even though such jerks are completely normal, they disrupt your sleep. If you are looking for ways to handle this condition, all you have to do is to give the tips discussed here a shot. Continue reading for more information. What Causes A Hypnic Jerk? How Is A Hypnic Jerk Diagnosed? A hypnic jerk or hypnagogic jerk is a strong, sudden, and brief contraction of the body that occurs when you sleep, causing you to wake up with a start. It occurs during the transition period between sleep and wakefulness. Hypnagogic jerks are also referred to as sleep starts, sleep twitches, night starts, and myoclonic jerks. Myoclonus means an involuntary muscle twitch, like hiccups. It is not clear why hypnic jerks occur. Many healthy individuals experience these jerks without a known cause. However, some factors are thought to be responsible for causing hypnic jerks. Evolutionary basis – Some research suggests that the origins of the hypnic jerk go back to our ancestors. The purpose of the hypnic jerk back then was to help the primates adjust their sleeping positions to prevent falling off a tree or avoid getting hurt during sleep. Hypnagogic jerk is not a disorder – it is a natural phenomenon that is very common. Hence, the symptoms associated with it are also not of any concern. The following are a few signs and symptoms that you may experience. These symptoms are usually subtle. As we have already mentioned, hypnic jerk usually occurs when one is asleep or in the process of falling asleep. To find out the exact phase in which hypnic jerk occurs, you need to have a better idea about the stages of sleep and the sleep cycle. Keep scrolling to find out. While falling asleep, a sleeper may pass through 4 stages. The 4th stage is the REM (rapid eye movement) sleep stage, while the stages from 1 to 3 are non-REM. Let us now have a detailed look at these stages. 1st Stage: In this stage, the sleeper is in light sleep. He/She may keep drifting in and out of sleep and can be awakened easily. It is during this stage that a sleeper may experience sudden contractions of the muscles that precede hypnic jerks. This stage lasts for about 10 minutes. 2nd Stage: Once an individual enters the 2nd stage of the non-REM sleep cycle, his/her eye movements stop completely, and the brain waves become slower but larger. As your body begins to fall asleep, your body temperature drops and heart rate slows down. This stage typically lasts for about 20 minutes. The first two stages of non-REM sleep cycle are usually referred to as light sleep. 3rd Stage: This stage combines what was previously a third and fourth stage. Upon entering this stage, your brain waves slow down and become even larger. It is at this stage that you sleep through many potential sleep disturbances without even flinching. This stage lasts for about 35 to 45 minutes. 4th Stage: This is the last stage of the sleep cycle. This is a REM (rapid eye movement) stage. The first phase of this stage lasts for around 10 minutes and usually begins after you have been asleep for at least 90 minutes. Your eyes begin to move rapidly in this stage, and you experience powerful dreams. There is also an increase in the heart and breathing rates. This stage keeps getting longer as the night goes by, and the last REM phase lasts for about an hour. If you experienced a sudden jerk in your sleep, it most probably was a hypnic jerk. To confirm the diagnosis, you can opt for the following tests. A physical analysis is often the first way to diagnose hypnic jerks. Identifying the symptoms, like a falling sensation while sleeping or getting up with a jerk in between your sleep, is the first way towards confirming your condition. Your doctor may ask you to take a diagnostic test called polysomnography. Polysomnography is a type of sleep study that helps record the physiological changes that occur during one’s sleep cycle. A hypnic jerk is almost always not of any concern. It usually does not even require any treatment as it is considered a normal phenomenon. But, if this condition has been giving you a hard time falling asleep, you can try and manage it by following the basic tips and natural remedies given below. Take a diffuser and fill it with water. Add three drops of lavender oil to it. Do this at least once daily, preferably before going to bed. 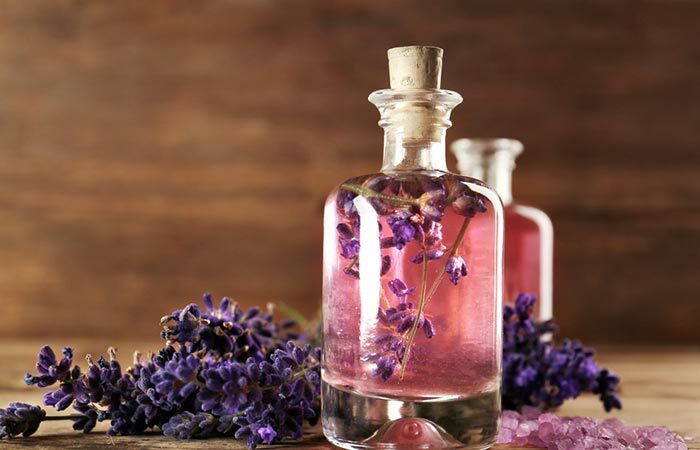 Lavender oil possesses soothing properties that calm you and relieve symptoms of anxiety and stress (1). The oil aids better sleep and can help in stopping hypnic jerks. Add two to three drops of chamomile oil to a diffuser that is pre-filled with water. Turn the diffuser on and inhale the soothing aroma of chamomile. Do this once before bedtime. 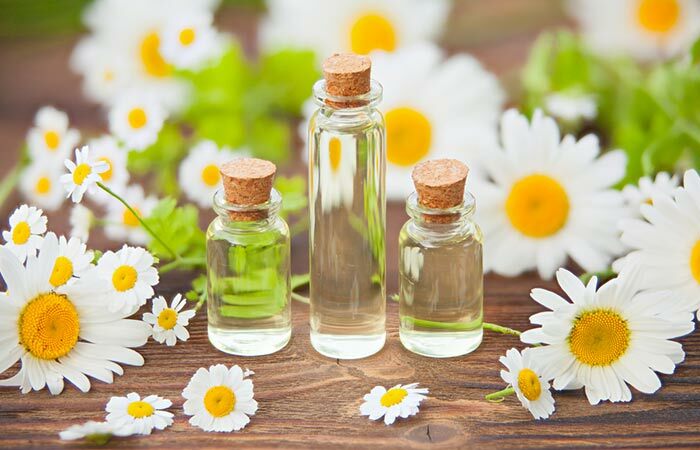 Chamomile oil is popular for its ability to soothe anxiety and tension in your body. It promotes sleep and relaxes your body, helping you deal with hypnic jerks at night (2). Certain vitamin deficiencies, like those of vitamins B12 and D3, can put you at an increased risk of developing hypnic jerks. 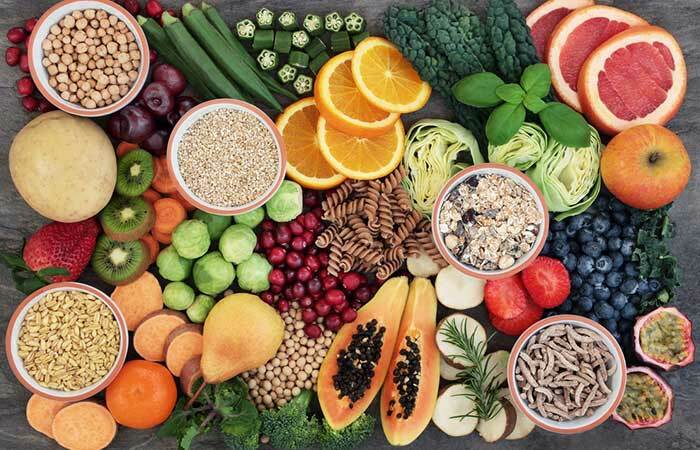 Vitamin D3 increases the absorption of calcium in the intestine, thereby preventing its deficiency, which is often observed in affected individuals (3). Correctig the deficiency of vitamin B12 was also found to improve the symptoms of a hypnic jerk (4). Hence, you must get sufficient amounts of these vitamins via your daily diet. Foods rich in vitamins D3 and B12 include fatty fish, tuna, cheese, egg yolks, poultry, and milk. Another option to get these vitamins into your system is to take additional supplements for them. But this should be done only after consulting your doctor. Meditation also helps you deal with hypnic jerks to a large extent – especially breath meditation that involves slow and steady deep breathing exercises. It promotes peace of mind and helps alleviate symptoms of hypnic jerks. 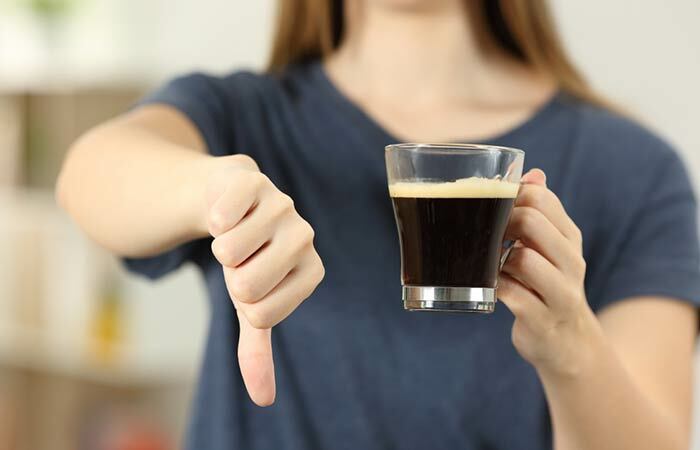 Caffeine is known to act as a stimulant. It increases the intensity of hypnic jerks and may also aggravate symptoms of stress and anxiety in the affected individuals (5). Hence, it is best to steer clear of caffeine-containing beverages. 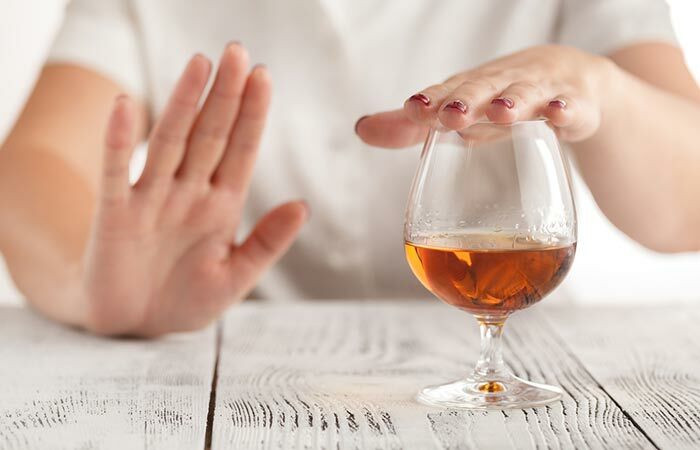 Alcohol is known to increase symptoms of stress and anxiety, which, in turn, increase your risk of developing hypnic jerks. So, it is best to avoid the consumption of alcohol, especially later in the evening. A warm bath before bedtime prepares you for a good night’s sleep by relaxing all your body muscles. This prevents muscle twitches or contractions that cause hypnic jerks. Using electronic devices right before going to bed has become a part of our routine. 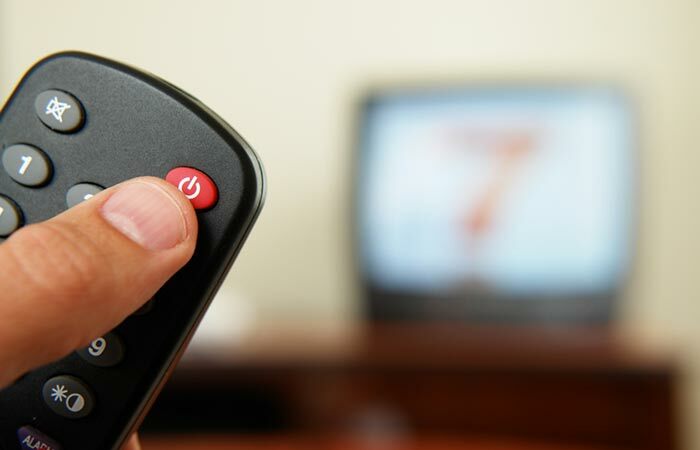 The use of any electronic devices like the television, laptop, smartphone, or even tablets suppresses the release of a sleep-inducing hormone called melatonin (6). This not only affects your sleeping patterns but also puts you at a much higher risk of getting those hypnic jerks. Supplementation with magnesium can also alleviate symptoms of hypnic jerks (7). Magnesium helps prevent muscle spasms and twitches and relaxes the muscles. 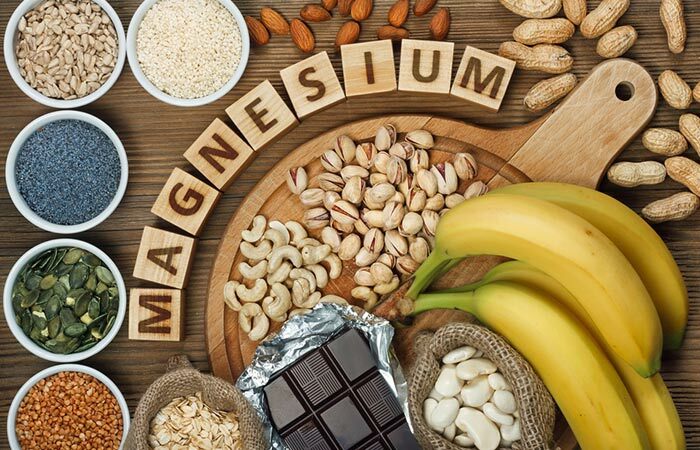 Since muscle contraction is the main cause of hypnic jerks, incorporation of magnesium-rich foods into your diet will help you deal with the condition. Foods rich in magnesium include green leafy vegetables, fish, nuts, and fruits like figs and avocados. You can also take additional supplements for magnesium after consulting your physician. A hypnic jerk is a natural phenomenon and not a disease. However, it may take a toll on your sleeping pattern and interfere with your personal life. The tips provided here will help you get rid of the random hypnic jerks that have been messing with your sleep. 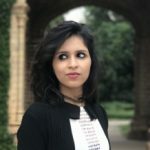 If you have any other tips or suggestions, please post them in the comments box below. Is a hypnic jerk a sleep disorder? A hypnic jerk is not a sleep disorder, but it may be a result of an underlying sleep disorder. What does it mean when you jump in your sleep? If you jumped awake from your sleep, it most probably indicates that you have just experienced a hypnic jerk. Any factors that affect the quantity or quality of your sleep can cause hypnic jerks. Can hypnic jerks happen while you are awake? Hypnic jerks usually surface when you are just beginning to fall asleep. Although some of these jerks may cause you to wake up from your sleep, you sleep through most of them. How do hypnic jerks affect your life? Repetitive hypnic jerks can interrupt one’s sleeping patterns. This may go on to interfere with your usual life. However, most cases of hypnagogic jerks are not that bad, and you tend to sleep through most of them. What stage of sleep does a hypnic jerk occur in? A hypnic jerk usually occurs in the first non-REM (rapid eye movement) sleep stage. It usually happens during the transition to this stage of sleep.